Japan and China hold the fourth round of talks in Tokyo on maritime crisis management mechanism Monday, with both countries agreeing to launch it as soon as possible once a broad agreement is reached. The working-level talks, participated by officials from Japan’ s Defense Ministry and the Maritime Self-Defense Force and China’ s Defense Ministry, firstly reaffirmed basic agreements they have made so far. The two sides also discussed some specifics of the mechanism, including technical problems, and agreed to trigger it as soon as possible after some necessary adjustments based on Monday’s talks, Chinese officials said. The mechanism of high-level consultations on maritime affairs between the two countries was launched in 2012. After three rounds of successful talks, the talks were suspended after the Japanese government‘s so-called”nationalization”of China’s Diaoyu Islands in the East China Sea in September 2012.
via Japan, China hold maritime crisis talks in Tokyo – Xinhua | English.news.cn. Japanese telecommunications company Softbank Corp. is investing nearly $840 million in two technology companies in India, eyeing what it sees as a lucrative market for growth. Softbank said Tuesday it is investing $627 million and becoming the biggest shareholder in Snapdeal, the largest digital marketplace in India with 25 million users and 50,000 businesses. It brings together products from thousands of big and small brands. The Tokyo-based company, which recently acquired Sprint in the U.S., is also investing $210 million in Ola Cabs, which runs the technology to connect consumers with cab drivers in India. Softbank executives said they were banking on India because it has a large number of Internet users, the online market is not yet saturated and connection speeds are likely to get faster. via Softbank invests $840M in India tech companies – Businessweek. Will Chinese President Xi be able to compete with Japan’s Abe for India’s affections? Any adjustments in the India-China-Japan triangle will have an impact all across Asia. East Asia has eagerly set out to court New Delhi’s new government. That’s obvious from the spate of state visits that have taken place of late between India, China and Japan. Earlier this fortnight, Prime Minister Narendra Modi visited Japan. Today, Chinese President Xi Jinping’s begins his first official state visit to India. Trade, investment and infrastructure are the buzzwords on the road towards deepening ties. The complexities of the India-China-Japan triangle are far too intricate to be spelt out in a simplistic fashion. Will trade and investment become the motive force that will fashion ties, more so at the cost of pressing strategic realities that appear conflicting at times? Going by the school of interdependent liberalism, states will be propelled to adopt a cooperative framework by economic symbiosis and the web of multilateral international institutions and frameworks. In the case of China, India and Japan, while investments have taken precedence, the competitive race is far too obvious. Last fortnight, Japanese Prime Minister Shinzo Abe announced that this country’s private and public investment in India will double to $34 billion over the next five years. Within a fortnight comes Xi Jinping with his administration’s plans to invest around $500 billion overseas in the next five years, with big-ticket investments coming India’s way likely to exceed $200 billion. 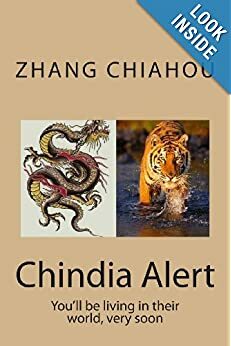 It is being suggested that China could spend $35 billion merely on power and highway projects ‒ almost the same amount as Japan’s total investment in India. It is apparent that cooperation through economic considerations has its share of hidden problems. India continues to be hurt by the growing trade deficit with China, which stood at a record $ 36 billion in 2013-’14. In fact, China accounted for more than 50% of India’s current account deficit in 2012-’13. Indian exports to its neighbour fell nearly 10% during that period. By seeking economic and military clout, could China reject the liberal regional order and seek to replace it with its own Sino-centric Asian order? China’s much-debated rise is always under scrutiny, given its role as Asia’s largest economy and the fact that it is the No. 1 trading partner for almost 120 economies around the world. More so, in the strategic sphere, are Asian nations, including India and Japan, prepared to recognise such an order? 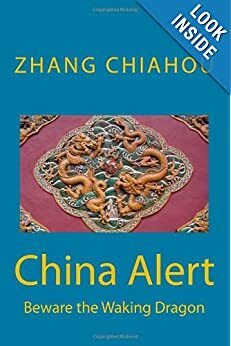 So profound is the presence, rise and status of the People’s Republic of China that one is often confronted with a debate whether a potential Asian century could actually become a Chinese century. The Chinese government chose to downplay Modi’s earlier indirect reference to China during his visit to Japan, where he took a swipe at the “18th century expansionist mindset of some countries”. But the reaction of state-controlled Chinese media over Modi’s remark was noticeably irate. Chinese media fervently cautioned against any attempt by Tokyo to structure a united front against Beijing with New Delhi as its pivot. All this very palpably falls into the realist paradigm of international relations, which posits that states often find themselves in a zero-sum contest for power and influence, where the prevailing international power balance remains a key determinant of the region’s future stability and strategic order. Realignments in any part of the India-China-Japan security triangle will have far-reaching impact all across Asia. It should be remembered that Xi Jinping’s address at the 18th Party Congress of the Chinese Communist Party in 2012 contained a reference to “rejuvenating China”, which has been interpreted as an oblique reference to “reclaiming lost historical territories”. This approach could well have a direct bearing on Japan and India, with whom China contests territories and borders. On another level, the camaraderie between Modi and Shinzo Abe speaks volumes. 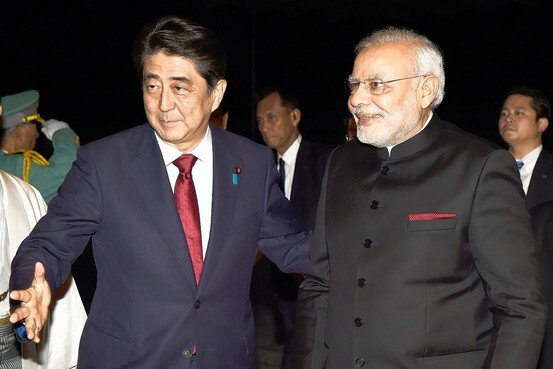 Systemic conditions present a favourable platform for the duo to guide their countries to “… the dawn of a new era in India-Japan relations”, as they agreed to in the Tokyo Declaration last fortnight. Moreover, providing cement for this approach, Modi underlined the significance of India and Japan being democracies, which affords them a solid basis to converge at various levels on the Asian stage. As for the ties between China and Japan, there could not have been a worse time for relations between them, with the bitter contest over the East China Sea amidst a rising tide of nationalist sentiment against one another in both countries. Whether Xi Jinping will manage to find success in making inroads into Delhi and buying a sizeable share of Indian attention is too early to say. However, one thing is for sure ‒ it will not happen at the cost of Japan. Indian Prime Minister Narendra Modi’s visit to Japan will generate headlines for the big deals that he does (or doesn’t) conclude with his Japanese counterpart Shinzo Abe. These include civil nuclear cooperation, high-speed rail construction and defense ties. However, the bilateral relationship ultimately depends on thousands of smaller commercial deals. If the two leaders set the tone and clear away obstacles, the India-Japan partnership can become the driver of Asia’s growth. Mr Modi said on this visit that Japan and India bear a ‘huge responsibility’ to define the path of Asian growth in the 21st century. The two powers are complementary on several levels, but primarily in the economic realm. Japan has the largest growth problem in the world while India has the largest development problem. There is no clearer example of this than India’s need for new roads, railways and ports. The Reserve Bank of India has defined India’s key economic problem as a supply-side deficit; demand is abundant, at times rampant, but supply responses are reduced by the unavailability and cost of capital, alongside logistics bottlenecks. The result is higher inflation and lower growth. Japan can provide the solution in the form of capital and technology. Tokyo is a partner in the $90 billion Delhi-Mumbai Industrial Corridor which will create new “smart cities,” seven of which have started construction. Some 100 more are planned nationwide. This initiative has already yielded the Delhi Metro, built under budget and within schedule with Japanese loans and rolling stock. via India and Japan Are a Perfect Fit – India Real Time – WSJ. Japan and India agreed on Monday to strengthen strategic ties as Asia’s second and third biggest economies keep a wary eye on a rising China, and said they would accelerate talks on the possible sale of an amphibious aircraft to India’s navy. Japanese Prime Minister Shinzo Abe and his Indian counterpart Narendra Modi also agreed to speed up talks on a so-far elusive deal on nuclear energy cooperation, welcoming what they called “significant progress” in the negotiations. “The two prime ministers reaffirmed the importance of defense relations between Japan and India in their strategic partnership and decided to upgrade and strengthen them,” Abe and Modi said in a statement after a summit in Tokyo. Modi, on his first major foreign visit since a landslide election win in May, arrived on Saturday for a five-day trip aimed at capitalizing on a personal affinity with Abe to bolster security and business ties in the face of an assertive China. In a sign of their warm ties, the two leaders greeted each other with a bear hug when they met on Saturday in Japan’s ancient capital of Kyoto for an informal dinner. Modi is one of three people that Abe follows on Twitter, while the Indian leader admires Abe’s brand of nationalist politics. “The 21st century belongs to Asia … but how the 21st century will be depends on how strong and progressive India-Japan ties are,” Modi told Japanese and Indian business executives earlier in the day. “The 18th century situation of expansionism is now visible,” Modi said, referring to incidents such as encroachment of others countries’ territories and intruding in other countries’ seas, in a veiled reference to China, with which India shares a long disputed border. “Such expansionism would never benefit humanity in the 21st century,” he said. Sino-Japanese ties have also been chilled by a row over disputed isles, feuds over the wartime past, and mutual mistrust over defense policies as China seeks a bigger regional role and Abe loosens the constraints of Japan’s post-war pacificism. Abe is keen to expand Japan’s network of security partnerships with countries such as India and Australia to cope with the challenge presented by China. via Japan and India vow to boost strategic ties during summit | Reuters. On Friday morning, while several members of his cabinet marked the anniversary of World War II’s end by visiting a controversial shrine in Tokyo, Japanese Prime Minister Shinzo Abe wisely decided to sleep in. He had caused a storm last December by paying a visit to the Yasukuni Shrine, which honors Japan’s war dead. By skipping Yasukuni, Abe may have improved the chances of a summit with Chinese President Xi Jinping that could help defuse tensions between the two countries. And what about the World War II-era war criminals enshrined there? Yasukini says not that they were convicted, but rather, that some “were labeled war criminals” (emphasis added) and executed after trials by the victorious Allies. Abe, though, is trying to have it both ways: He didn’t visit today, but two members of his cabinet did—and the prime minister sent a donation through an aide. via Japanese Prime Minister Avoids Controversial War Shrine – Businessweek. Another consequence of the worsening Sino-Japanese relations: Japanese investment into China dropped by nearly half in the first six month of 2014, according to a new report by China’s Ministry of Commerce. As recently a 2012, Japanese investment posted growth of 16.3 percent, reaching $7.28 billion. The decline actually started last year, with a 4.3 percent drop. China and Japan are in a dispute over the ownership of the uninhabited Diaoyu Islands in the East China Sea. 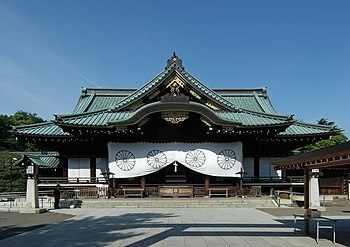 Japanese Prime Minister Shinzo Abe further angered Beijing in December when he visited Tokyo’s Yasukuni shrine, a temple that honors Japanese soldiers but also its war criminals. Earlier this month Japan’s cabinet passed a resolution reinterpreting its pacifist constitution so its military can defend its allies. via With Tensions Rising, Japanese Investment in China Plummets – Businessweek.